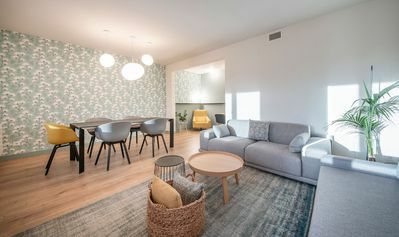 This apartment, suitable for up to six people. 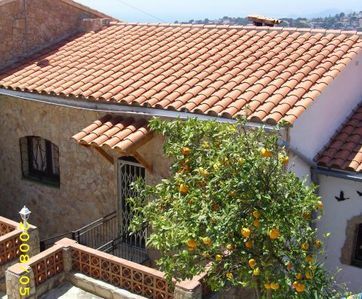 It has a great location, facing the side community garden. 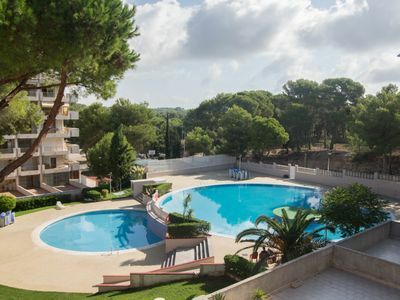 You can reach beautiful beaches and coves by foot through a beautiful private dirt way that you can take directly from the swimming pool area of the community, located in wonderful Cala Enforcat. Very calm and surrounded by stores and services anyone wishes for during a vacation. 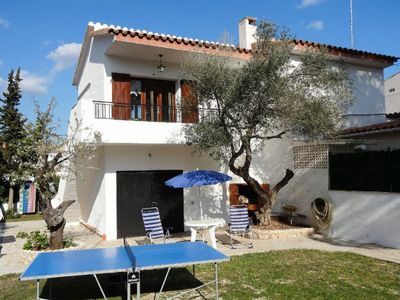 It is just 3,7km from Ciutadella, it has two double bedrooms and a sofa bed ideal for two other people. Specially comfortable for families with young kids, where they will be able to play while at home, and get a refreshing swim anytime! 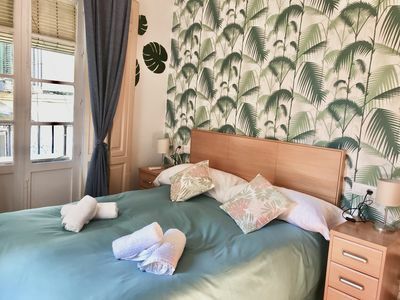 This apartment has rooms with a very good size, with a bright living room and folding glass doors that connect to the porch and the yard, which are very private due to the location and orientation of the apartment. 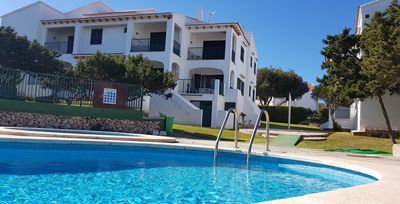 One of the pools is for kids, so great for families with children and couples, with beautiful sunsets to see right from the bar you'll find just 2 minutes walking from the apartment, named Sa Posta De Sol, with jaw dropping views and an inspiring calm. 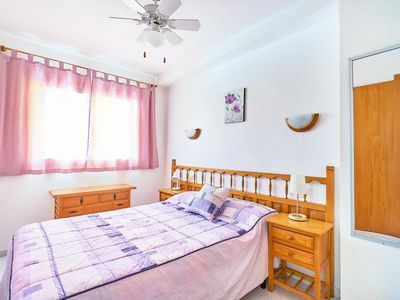 Both rooms have single beds that can be put together, depending on your needs. The kitchen is well equipped, with the appliences you may need for easy meals at home. 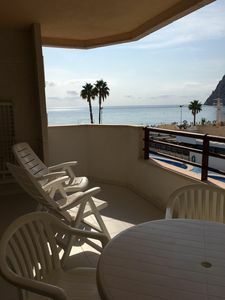 You can reach several beaches and sea sights from the apartment by foot (list below!). 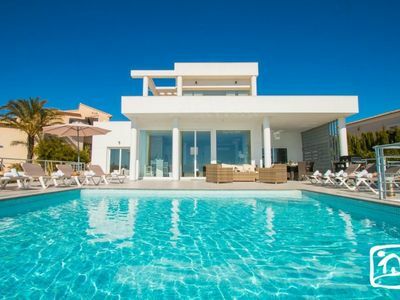 Some of those are Platja de Cales Piques, Cala Marina, Cala'n Brut, Cala'n Blanes.., commonly known to be the best coastline in Menorca, with a lot of rocks to jump from and white sand narrow beaches, that tend to have calm waters. 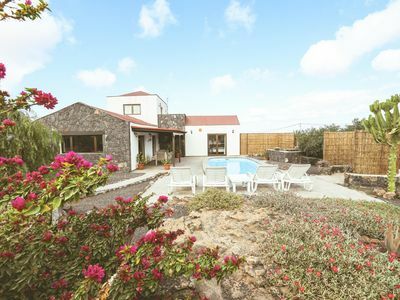 Ideal to spend your holidays on the island by the sea and enjoy the stay with family and friends. 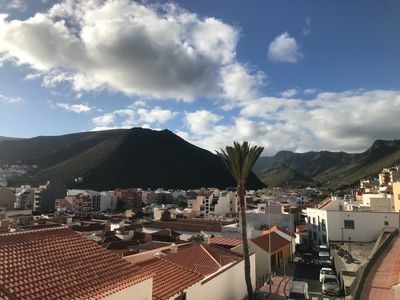 Along the street there are all kinds of services and leisure at your disposal (bars, restaurants and small supermarkets), which you can walk, where you will find grilled meat and pizzas buenisimas among others, at a great price. It is a quiet neighborhood. 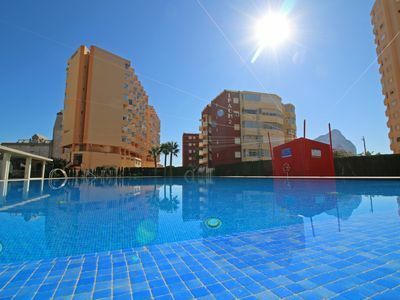 The Biniforcat apartments are located on the "Avenida de los Delfines" (Cala en Blanes), just 4 km from Ciutadella. Along the avenue there are several restaurants, bars, small supermarkets, souvenir shops ... (you can walk). There is also a small aqua park, bouncy castles and leisure areas for the little ones. Cala'n Blanes (20 minutes walking - 1.4 km). In high season there is a bit more movement, but in general it is a quiet neighborhood. For the delivery of keys, at the door we leave a padlock with a combination, key is inside. The combination is provided a few days before entering. For the exit, the key is left in the same place. For any problem or doubt, we will be in contact with mail or by phone, since it is possible that we are not there. There is always a trusted person available in case any problem arises. The price includes sheets and towels for the number of guests booked. Kitchen equipped with the basic utensils for cooking. 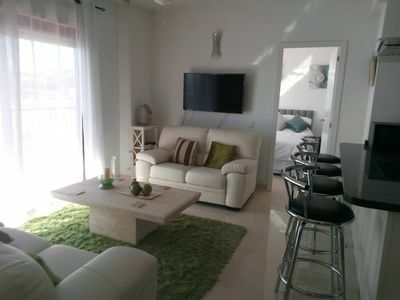 Cozy studio with sea views, 50 meters from the beach. 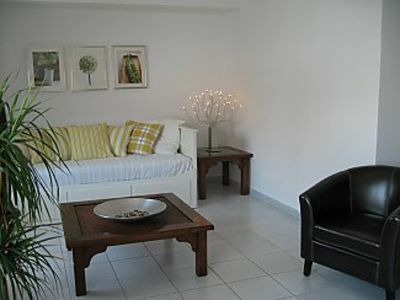 Spacious Villa Arriba apartment in Corralejo with private garden & balcony. 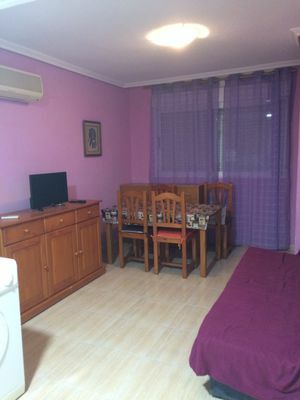 Nice apartment 6 pax with 2 bedrooms and pool in Salou.